Peter Forbes died at Quatrebras Lybster 2nd December 1939 aged 90. Son John Forbes died in Bridgeport America 30th December 1919 aged 36. 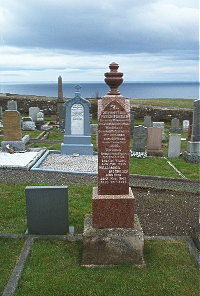 Wife Williamina McGregor died 28th November 1947 aged 90.